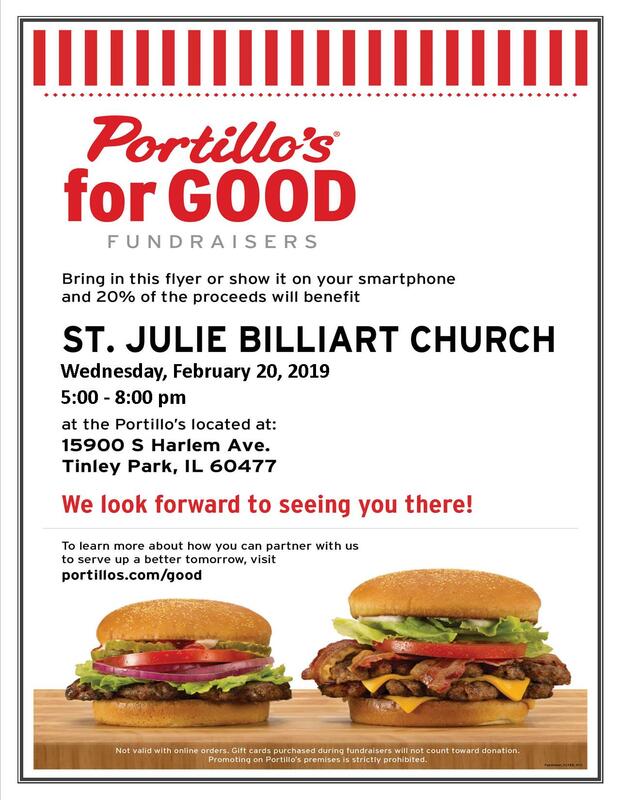 Eat and help Saint Julie Billiart’s at the same time! 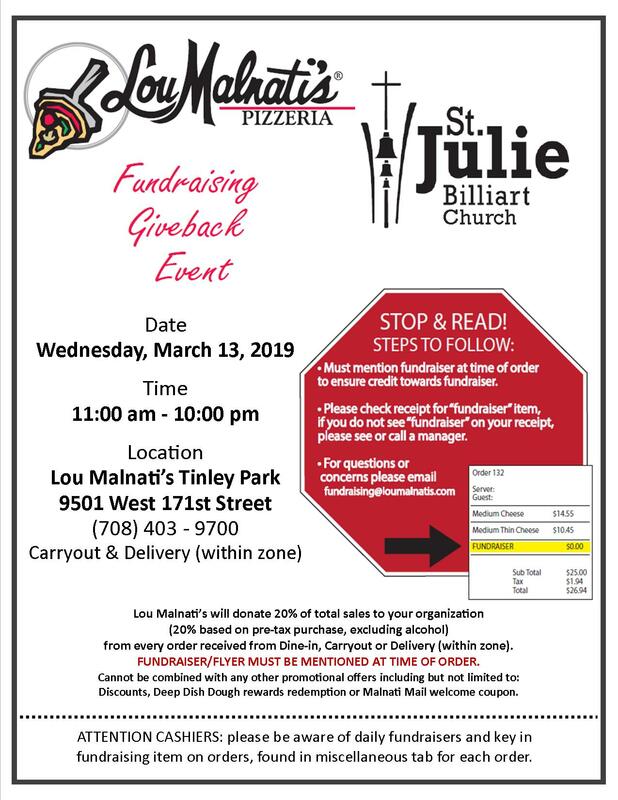 Our next parish restaurant fundraiser will be held on Wednesdayu, March 13 from 11:00am to 10:00pm at Lou Malnati’s Pizzeria located at 9501 W 171st Street in Tinley Park. Lou Malnati’s will donate 20% of your entire purchase back to the parish. You must mention this fundraising event at the time of purchase. This location only – delivery or carry out. My husband Jim and I have been members of St. Julies since we moved to Tinley Park in 1987. St. Julies has definitely become our second family and we are grateful for the relationships and friendships we have developed over the years. I taught Religious Education for many years and am currently a Eucharistic Minister. Together, Jim and I co-chaired the Capital Stewardship campaign and most recently were on the executive committee of the To Teach Who Christ Is campaign. For the last 15 years, we have been involved in the Marriage Preparation ministry. We walk with engaged couples through Catholic Couple CheckUp (a pre-marital inventory), Marriage Preparation (Pre Cana) and facilitate weddings. I came to St. Julies as Business Manager in July 2012. 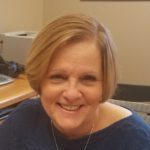 I previously was the Business Manager at St. Irenaeus in Park Forest. We have three grown sons, two beautiful daughters in law and four grandsons. We anxiously await the arrival of our fifth grandson in April. His arrival will officially mark 37 years of Pfieffer boys. We are truly Blessed.